Divetech is an Edinburgh-based branch of the British Sub-Aqua Club (BSAC), the governing body for scuba diving in Britain. 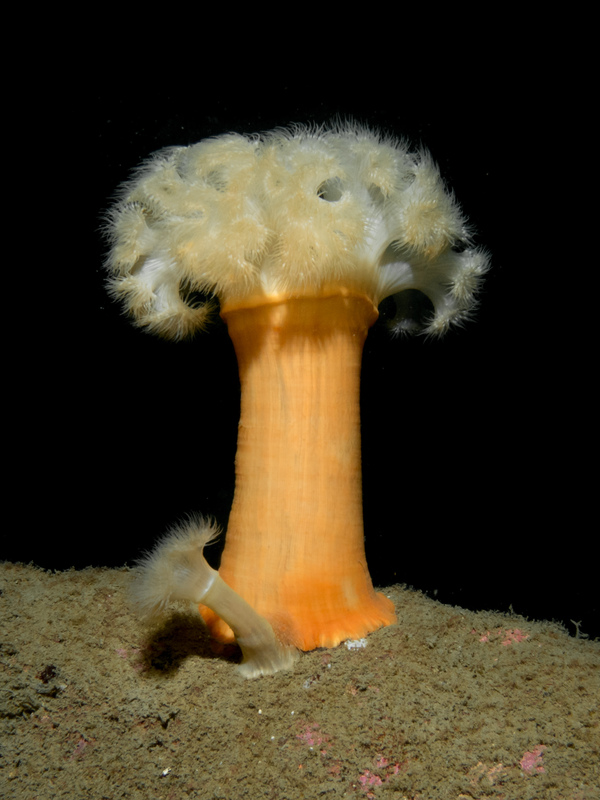 Divetech has been in existence since the nineties and is a small, friendly club with around 35 members and growing. Divetech supports a wide range of diving abilities, from our newly trained club divers, through more experienced air and nitrox divers to seasoned extended range, trimix and rebreather divers. The type of diving we organise as a club reflects this rich variety of talent and ability. There are divers out most weekends & we organise social events for members, families and friends. We usually meet up in a central Edinburgh pub on the second Tuesday evening of every month. Please check out our dive calendar for details. Divetech offers scuba training from beginner to advanced levels. All training is carried out within the club by our friendly instructors. Scuba training is not necessarily expensive or difficult. It is a lot of fun. Trainees put theory into practice in pool training sessions. Even if you’ve never put you head under water before, you can learn to dive with Divetech. To get you started we offer training to the BSAC initial qualification of Ocean Diver. This involves a short lecture course, training in a swimming pool, and finally carefully supervised diving in ‘open’ water. In 2017 completing Ocean Diver training with Divetech will start from £300. This includes all training materials, classroom and pool training, BSAC and Divetech membership and kit hire (excluding drysuit). 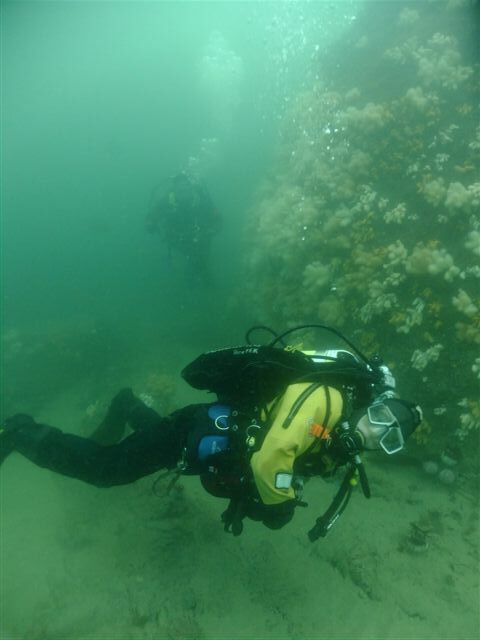 For full details about training with Divetech, please get in touch using the contact page. For more advanced diving, we offer training through the BSAC levels of Sports Diver, Dive Leader and finally Advanced Diver. The club is also involved in participating and running regional Skill Development Courses in areas such as Underwater Search and Recovery, Boat Handling and Oxygen Administration. 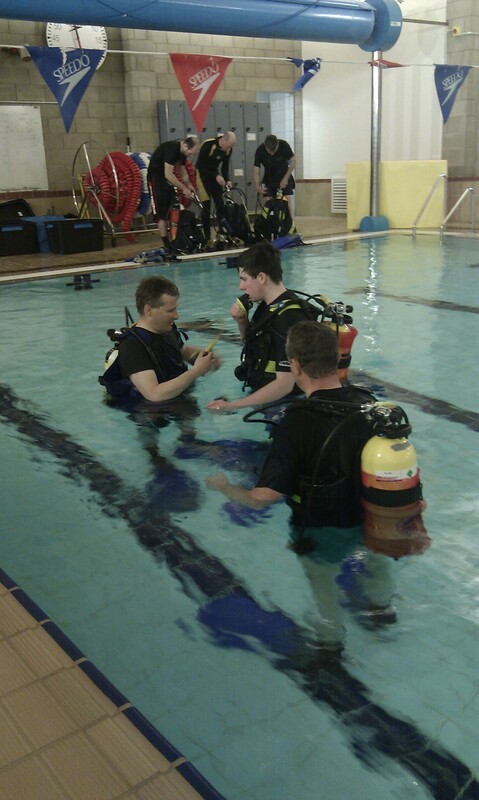 For details of the BSAC training structure visit the BSAC website.